Astilbe are admired for their attractive foliage and sensational fluffy flower spikes. 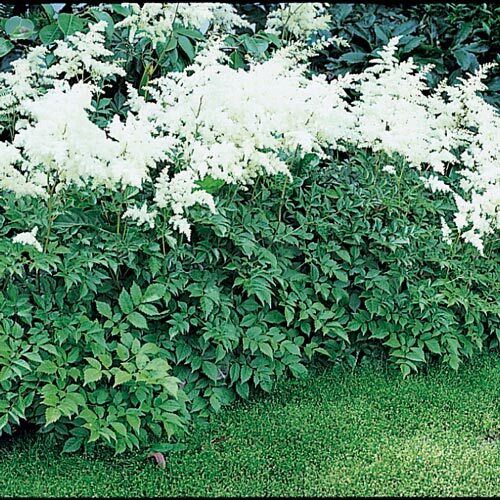 Great for the perennial border, in bed plantings or even containers! They produce a mass of feathery flower plumes in reds, pinks, lavenders and whites. 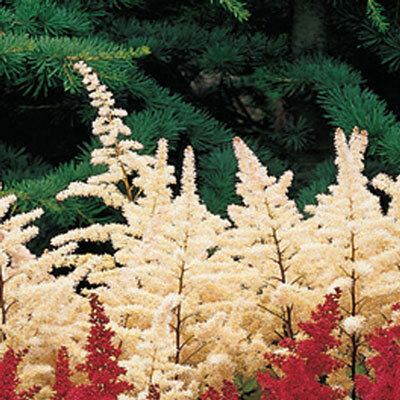 Lacy, deep green or bronze-green foliage continues to add texture to your gardens. 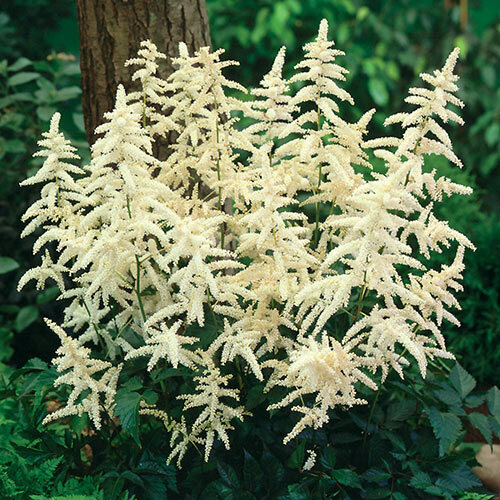 Plant in rich, moist soil, in shade or semi-shade and in groups of 5 or more for maximum impact. Each plum consists hunders of tiny flowers. Moist, humus rich soils, well drained. Before planting soak in water for 30 minutes.